Why let a bit of bad weather stop you getting out and enjoying yourself? With the Mens Taiga Trail Jacket even wet, muddy walks can be fun. This jacket is not only completely weatherproof, it's also good for the environment as it's made from recycled fabrics. 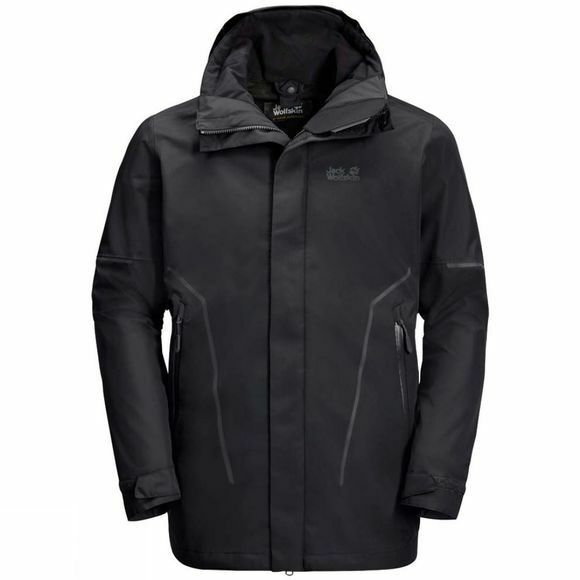 The Mens Taiga Trail Jacket will keep you dry even in heavy rain and snow. It is also very breathable, so when you're moving fast on steep, uphill trails you'll still feel great. If you need extra ventilation, simply open up the pit zips. The zips are positioned on the back of the arm instead of underneath for improved freedom of movement. In cold, snowy conditions you can winterise the Mens Taiga Trail Jacket by using the system zip to combine it with a compatible Inner jacket.